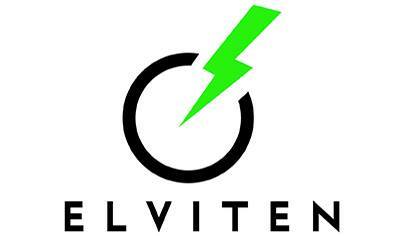 ELVITEN will holistically tackle all issues impeding the wide market deployment of EL-Vs, by proposing replicable usage schemes to boost ownership or sharing of all categories of EL-Vs by systematic and occasional urban travellers and by light delivery companies. Existing charge points in the ELVITEN Demonstration Cities, including private ones, will be integrated into a Brokering and Booking service and EL-V charging possibilities will be integrated into the biggest eRoaming platform in the market, to enable EL-V users to charge independently from charge point operators. Sharing services will be set up and supporting policies and incentives will be put in place. ICT tools will be deployed, including a Brokering and a Booking service for EL-Vs and charge points, an EL-V fleet monitoring tool and Eco-Drive app, a Serious Game and an Incentive Management Smart Card. One-year-long demonstrations with 383 equipped EL-Vs of all categories in Genoa, Rome, Bari, Malaga, Berlin and Trikala, will allow the collection of a big data bank of trip data and users' experiences and opinions after the trips. The analysis will shed light on the real driving and charging patterns of EL-Vs, on reported problems encountered and on the users’ opinions and perceptions. A Cost-Benefit Analysis will evaluate the potential market uptake of EL-Vs. 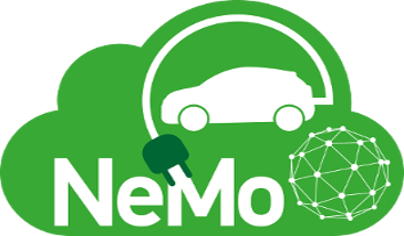 Sustainable business models will be proposed for sharing, rental, parking or charge services for EL-Vs and for the deployed ICT tools. Guidelines to EL-V manufacturers and to Planning Authorities will be prepared and agreements will be signed with another 50 Follower Cities so that they transfer to their own regions the ELVITEN usage schemes. 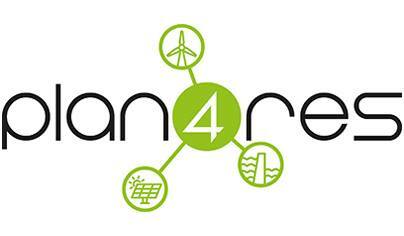 Plan4RES is a collaborative research and innovation project which aims at developing an end-to-end planning tool to successfully increase the share of renewable energy into the European Energy system without compromising on system reliability. The targeted platform will account for the Pan-European interconnected electricity system, potential synergies with other energy systems, emerging technologies and flexibility resources, providing a fully integrated modelling environment. Moving away from a monolithic approach will enable to overcome mathematical and computational challenges. The objective is to strive towards a system where a multiplicity of models, properly organized in a functional hierarchy, synergistically contribute to the analysis of such complex systems. Targeting all main stakeholders of the power system, from generation to retail through grid operators, this innovative modelling platform will deliver a full system planning capability while considering a large set of future uncertainties, thus acting as a decision-making tool for future investments. Allocation of multi-energy resources, system flexibility, assets portfolio assessment, advanced ancillary services or impact assessment of regulation are among the key features that the tool will deliver. Three case studies will provide the necessary validation of the platform, showing the adequacy and relevance of the developed modelling framework, especially key advances included in Plan4Res (multi-energy integration, investment planning under uncertainties, TSO/DSO flexibility Cost integration…) and database. Those studies, performed on a European scale, will also demonstrate the efficiency of the modelling and solving of the tool. Moreover, the case studies will demonstrate the benefit of using tailored versions of Plan4Res for various stakeholders: multi-technology provider, TSO, utility or energy provider. The ambition of AEOLIX is to increase end-to-end visibility in the supply chain, across multiple modes and actors, enabling each logistics actor to manage, (re-)plan and synchronise facilities in the supply chain through a flexible cloud-based collaborative ecosystem in a trusted business environment. A main goal is to achieve high environmental, economic and social impacts. The goal of optiTruck is to bring together the most advanced technologies from powertrain control and intelligent transport systems in order to achieve a global optimum for consumption of fuel (at least 20% reduction) as well as other energy sources and consumables while achieving Euro VI emission standards for heavy duty road haulage (40t). The main objective of SUCCES is to reduce the negative impacts of freight distribution in city urban areas and to reduce its costs. In order to do so, the project focuses on to what extent and how the Supply Chain Management and Construction Consolidation Centres (CCCs) concepts could bring about tested and replicable solutions (adequate collaborative frameworks and, as result, sustainable business models) to address problems in the construction supply chains, focusing on distribution networks, construction sites and reverse logistics. SUCCESS addresses the feasibility of optimising and integrating the supply chain (for example introducing supplier’s cooperation schemes, contractors’ integration arrangements, introducing optimization tools, etc. ).